Approximately half of Concord Academy students live on campus, in six historic houses located along Main Street. Boarding students come from as far away as Bangkok and as close as Boston. They live together — seniors next to sophomores, freshmen across from juniors — and they study, hang out, and learn from the diversity of perspectives gathered under one roof. CA’s student houses feel like family homes because they once were. Every room is different; one might have a built-in window seat, another a corner nook. Every residence has four house faculty, most of whom live in the house. Many live with their families, so it’s not unusual to see students playing with toddlers or tossing a ball with the family dog. House faculty check in regularly with students, chat about their day, watch movies together, and ensure that study hours and “lights out” are observed. The Boarding Council meets weekly to discuss matters relevant to the boarding community. The council comprises the head of boarders, the vice head of boarders, student heads of house, the director of residential life, and the dean of students and community life. The council exchanges views on many issues, including changes in boarding regulations. The council meets occasionally with the house parents, and may make formal recommendations to the house parents and the dean of students and community life for their consideration and decision. Each student house has three house faculty and one house coverage affiliate or two house faculty and two house coverage affiliates, who supervise all aspects of house life. All house faculty and house coverage affiliates work within the same framework of house rules and regulations. Each student house has at least one student head of house, who is elected by the boarding community and represents his or her house at Boarding Council meetings. The head of house conducts house meetings and assists students and house parents in the general management of the house. If appropriate, an assistant head of house may also be elected by the boarding community. Each student house has a house manager, a junior selected by house faculty and the previous years’ Boarding Council. The house manager is responsible for assisting in the management of house jobs and for running the house store. New boarding students are given the opportunity to request a host family. Host families are usually parents of day students who wish to share their home and family experiences with a new student. 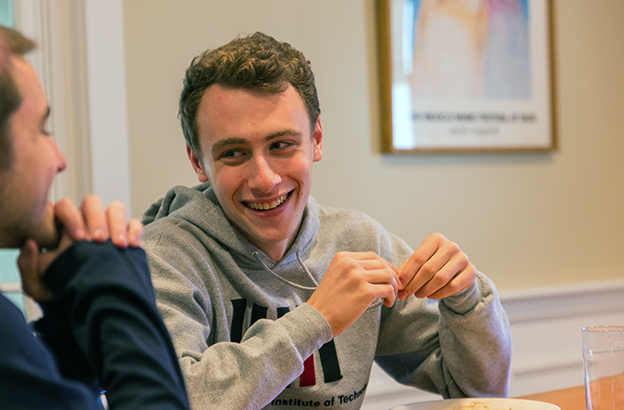 Most boarding students meet their host families at a host family dinner scheduled during the second week of school. This is an optional program whereby day students may live for a week in one of the student houses or boarding students may live in a day student’s home. The plan does not need to be reciprocal. This program is not designed for boarding students to live at their own home for a week. The period of exchange extends from Sunday at 5:00 p.m. until the start of classes on Friday. Day students participating in the exchange must abide by all rules governing boarding life. Permission forms, which must be completed before the exchange begins, are obtained in the Office of the Dean of Students and Community Life. 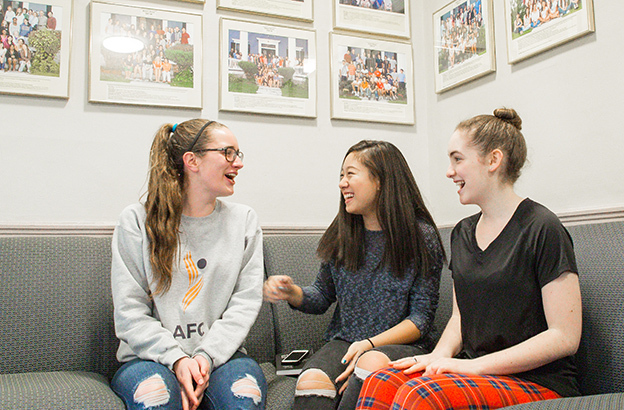 Throughout the school year, day students may occasionally spend the night on campus with the boarding community. Conversely, boarding students may occasionally spend a weeknight at the home of a day student, although the school reserves the right to limit the number of boarding students at a day student’s home on a single night. 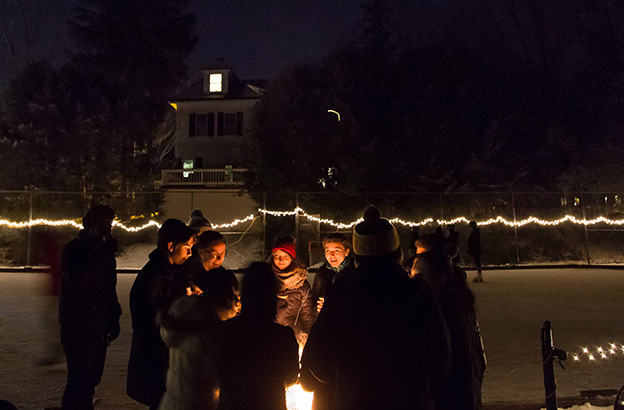 The purpose of switch nights is to provide students with a break from their normal routines, allowing them to better acquaint themselves with their day or boarding peers.